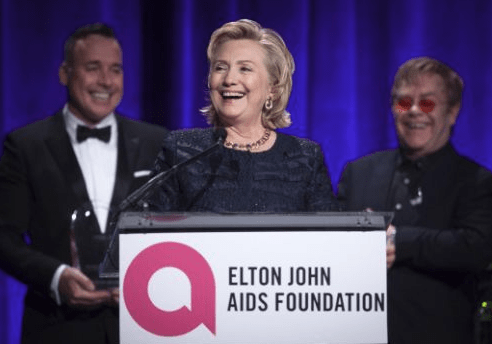 On Monday, November 5th, 2018, the Elton John AIDS Foundation will present its 16th annual An Enduring Vision Benefit Gala at Cipriani Wall Street in New York City. We are thrilled to welcome host Neil Patrick Harris, and featuring tributes by President Bill Clinton, Governor Andrew Cuomo, Sharon Stone and others, with special musical performance by Aretha Franklin, Joshua Bell, and Broadway’s The Lion King, featuring Heather Headley. Do You Want VIP experience at Elton John’s 2018 An Enduring Vision? Millionaire’s Concierge can provide VIP access to this unbelievable event, which will surely be the highlight of your year. Contact us today to find out how we can put you in the middle of Elton John’s 2018 An Enduring Vision AIDS Benefit Gala. We have a wide selection of VIP tickets for any event, including front row and premium seats. Wherever you want to be in the arena, stadium or amphitheater, we can get you there.